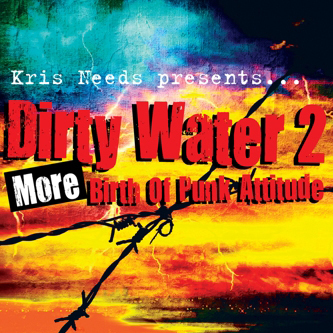 Due to popular demand Kris Needs presents a crucial followup to his 'Dirty Water' compilation, readdressing the 'Birth Of Punk Attitude' through 39 expertly chosen tracks covering spiritual jazz, reggae, primitive rock 'n roll and much more. Across tracks from Captain Beefheart, Suicide, David Bowie, Albert Ayler, Parliament, Bo Diddley, Woody Guthrie, MC5, John Otway, and Tapper Zukie, plus a 76-page booklet, Kris gets closer to an aural version of Zigzag, the crucial fanzine he edited in the '70s , taking in the myriad elemental factors with catalyzed an upheavel of the music industry and revolutionised music forever. Recommended!